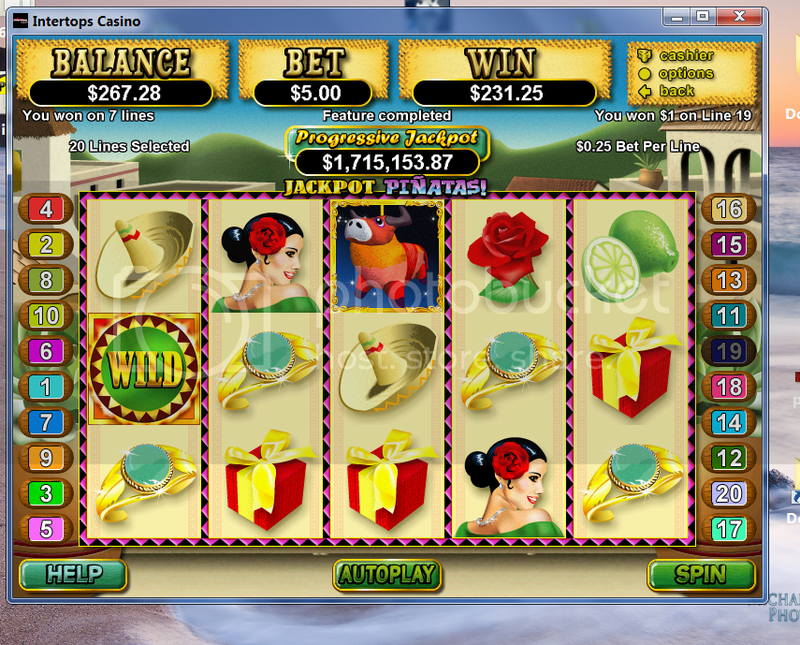 Posted: Mon Jun 18, 2012 9:36 pm Jackpot Pinatas- Win on bonus round with spins!!! Tried a few spins on this game ($5 a pop!) and hit Bonus Round after 4 or 5 spins!! WTG Patti.You're more daring than me.Seldom go over $1 a spin. I love that game...when I have the money for it.